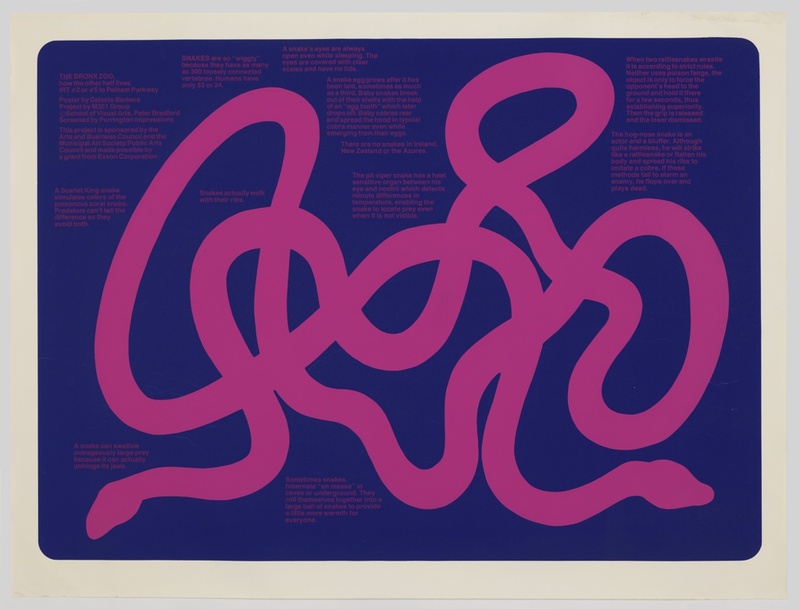 Screenprinted in pink on blue at UL: THE BRONX ZOO/ how the other half lives/.../Poster by Celeste Barbera/Project by the M351 Group/ School of Visual Arts, Peter Bradford/ Screened by Purrington Impressions/...; at UC:A snake's eyes are always/open even while sleeping. The/eyes are covered with clear/scales and have no lids. ; lengthy informative text throughout.